There are lots of recipes around now for gluten free pie dough. I recently tried Bob’s Red Mill packaged mix, and other than it being sweet, which makes it not so useful for something like a quiche, I like it very much. It is primarily rice flour, potato starch and xanthan gum, which is pretty typical for most pie crust recipes. (Some use tapioca starch instead of or in addition to the potato starch, but they serve the same purpose, giving chewiness to the crust.) I have a ground almond pie crust recipe in “Easy Gluten Free Entertaining” that works nicely for tarts and sweet creamy pies like cheesecake or tofu pudding or pumpkin or other types of dense fillings. Regardless of the recipe, there is one major difference in the technique required to roll out gluten free dough. With a wheat flour dough, you start with a clean surface that you then dust liberally with more wheat flour, and work the dough gradually outward, sliding it across the flour-dusted surface. This doesn’t happen with gluten-free doughs. For those, you want plastic wrap. Starting with cold butter or shortening or lard is essential when making any sort of pie crust, and refrigerating it to rest is a standard step as well. It isn’t uncommon to wrap your discs of pie dough in plastic wrap while it rests in the fridge. 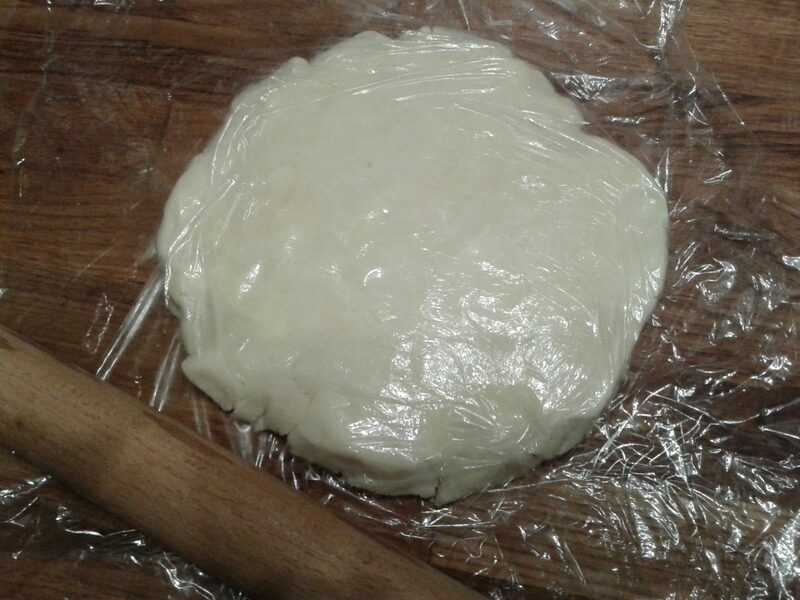 For gluten free dough, keep the plastic wrap out. Cover your rolling surface with a few sheets of wrap, and have another one to cover the top. 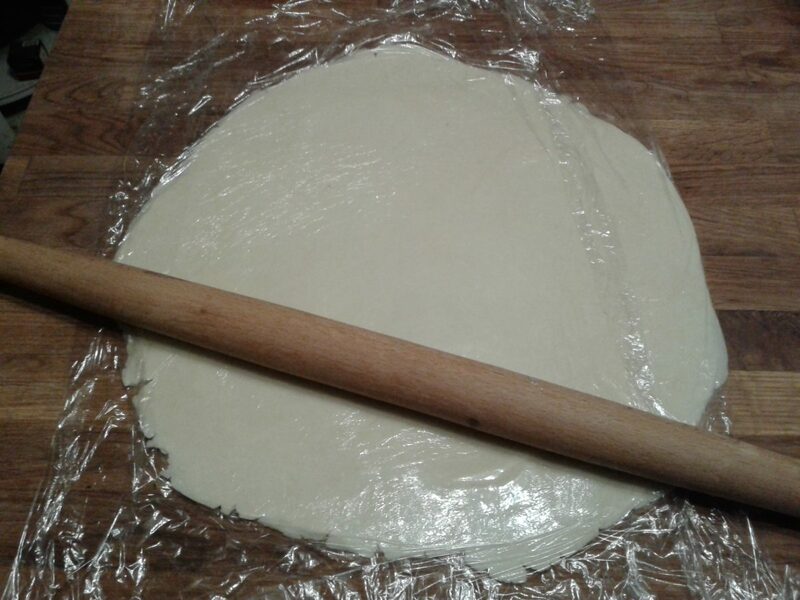 Use your rolling pin as usual, but allow the dough to flatten out between the sheets of plastic wrap as you go. Pause to pinch the edges together as they crack and keep rolling until you have a flat disc the size of your pie plate. 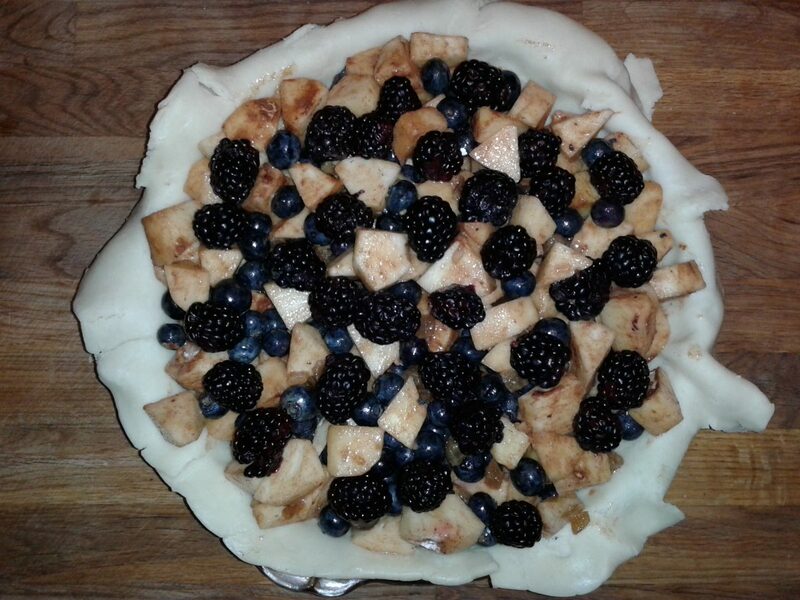 Refrigerate again, then peel one side of the plastic wrap off, place in your pie plate, and use the other sheet to press the dough into place before peeling it off as well. This no-fuss, no-muss method works for other types of dough as well. When I make bar cookies or even my homemade dog bones, I use the plastic wrap (and bake on top of silicone mats as well). This one simple adjustment in your technique makes a world of difference in your stress level when making gluten free pie shells or working with other sticky doughs. Now, go make some pie! 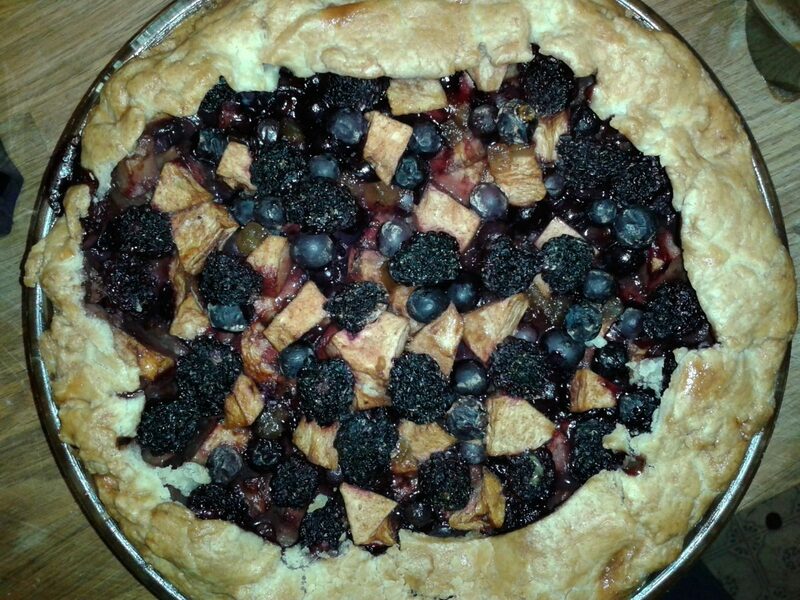 This entry was posted in Food Allergies and Sensitivities, Gluten-Free, Sweets and tagged Gluten Free cooking tips, gluten free pie, gluten free pie crust, gluten free pie dough, pie, pie crust, pie dough, rolling out gluten free dough on January 17, 2015 by Chef Christy.